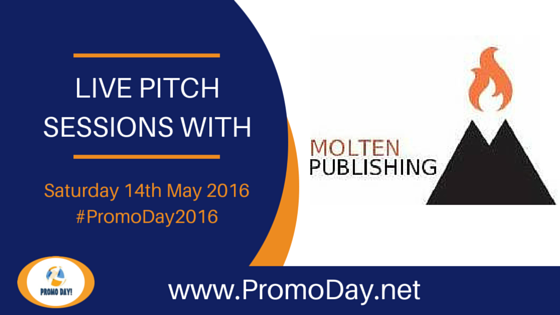 Molten Publishing has confirmed they will be taking pitches during this years Promo Day event on Saturday 14th May. Please submit a brief cover letter telling us how excited you are about your story, a synopsis (we'll give you two whole pages! ), and the first five chapters of your manuscript. Register Now for access to the forums where the pitch sessions take place!